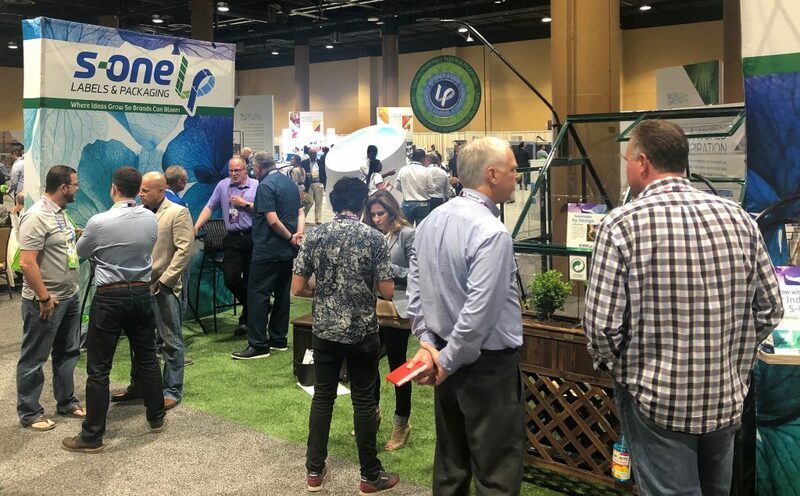 Dscoop Edge Orlando proved to be another week of bringing together the top creative and innovative minds in our industry. During the event, we were encouraged to think openly, meet new professionals and continue to envision the dynamic future for everyone who makes up and supports the HP Indigo market. 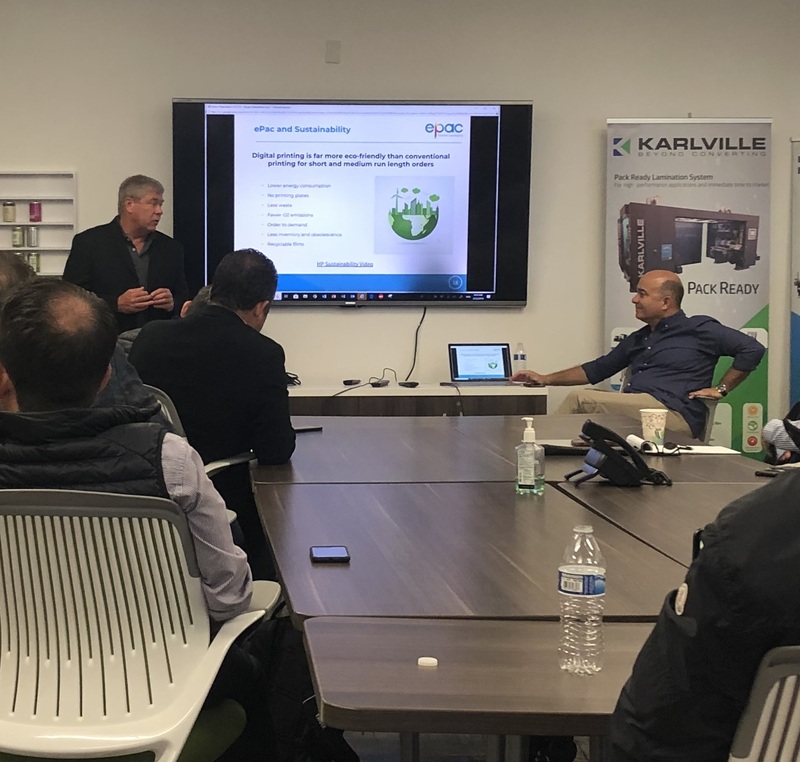 Carl Joachim of ePac presents at Karlville’s pre-Dscoop open house. 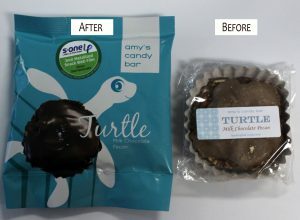 The week started for us in Miami with a visit to Karlville to learn more about HP Pack Ready converting and finishing. We also encountered the growing excitement for HP Indigo in Latin American counties. 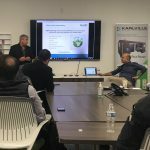 We learned about the market drivers and the state of the flex-pack space thanks to a presentation by HP and Karlville partner, ePac. 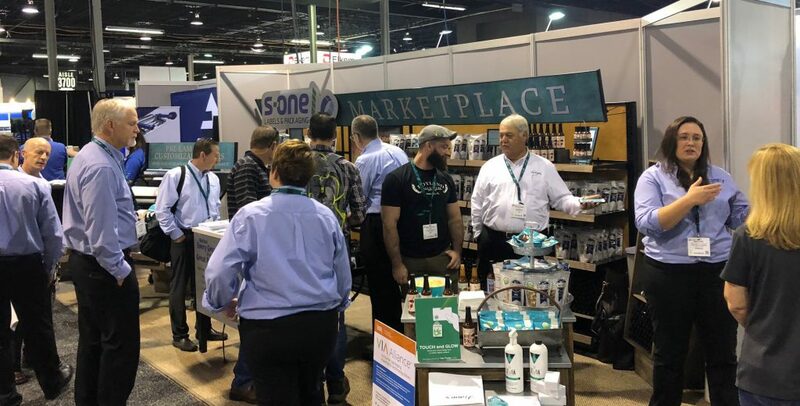 Once in Orlando, it was a whirlwind of activity and inspiration throughout the Solutions Showcase. 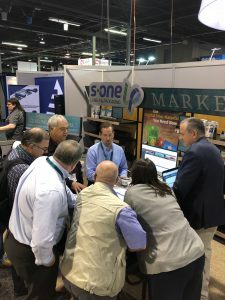 In the S-OneLP booth, we had conversations on this year’s hot topics: Sustainable solutions, brand protection and HP Pack Ready for Labels. 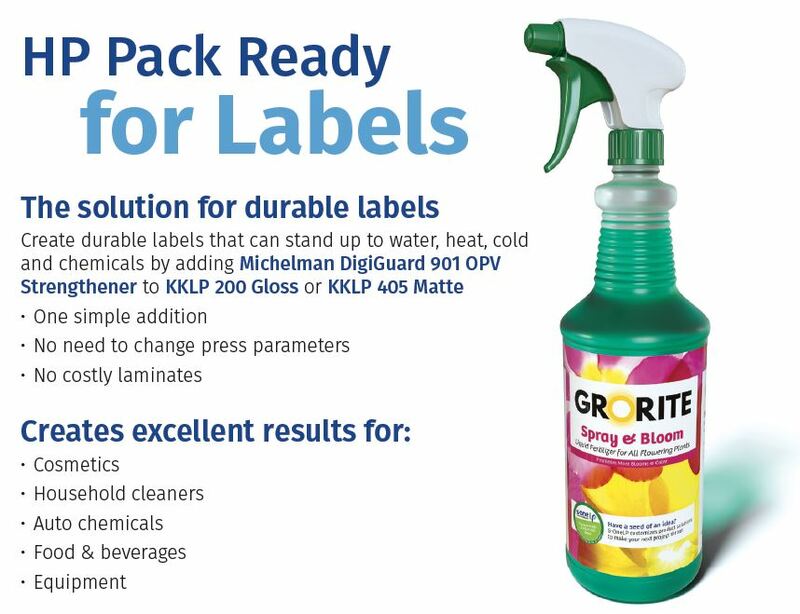 We highlighted the durability of the HP Pack Ready for Labels solution, which included labels printed by Consolidated Labels, and finished with a mixture of Michelman DigiGuard 901 OPV Strengthener and KustomLP Gloss OPV. 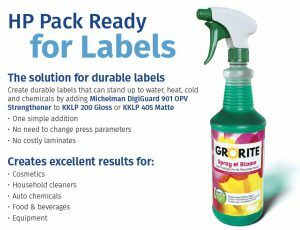 This combination provided super durable labels that were tested to stand up to water, chemicals and more. “What we heard at Dscoop is that people are looking for a solution for scratch resistance when printing to metallized BOPP,” says Tom Hauenstein, S-OneLP global sales leader. 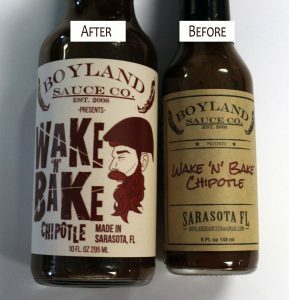 “DigiGuard 901 with our KustomLP UV overprint varnish delivered rock solid results for scratch resistance as well as the best results we’ve seen for ink adhesion and chemical and water resistance, too. 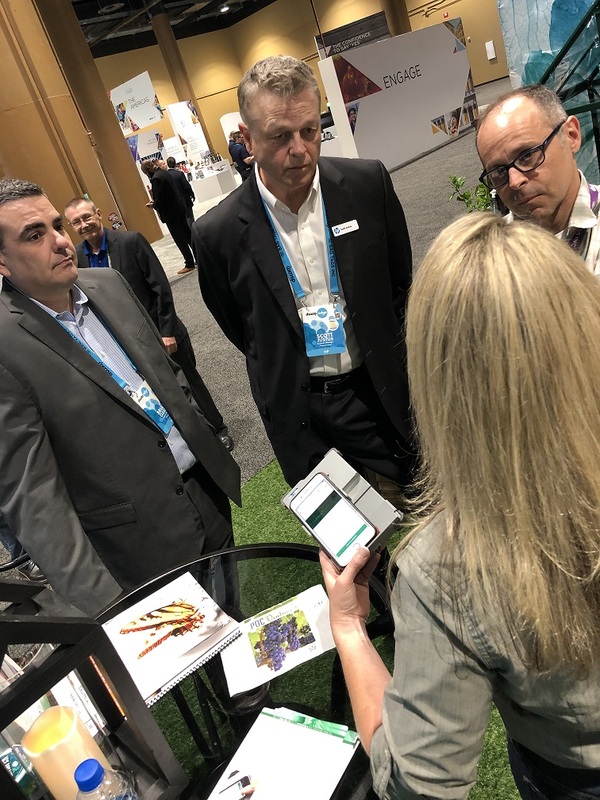 S-OneLP’s Nichole Danzig demonstrates VeriPas to the HP team. 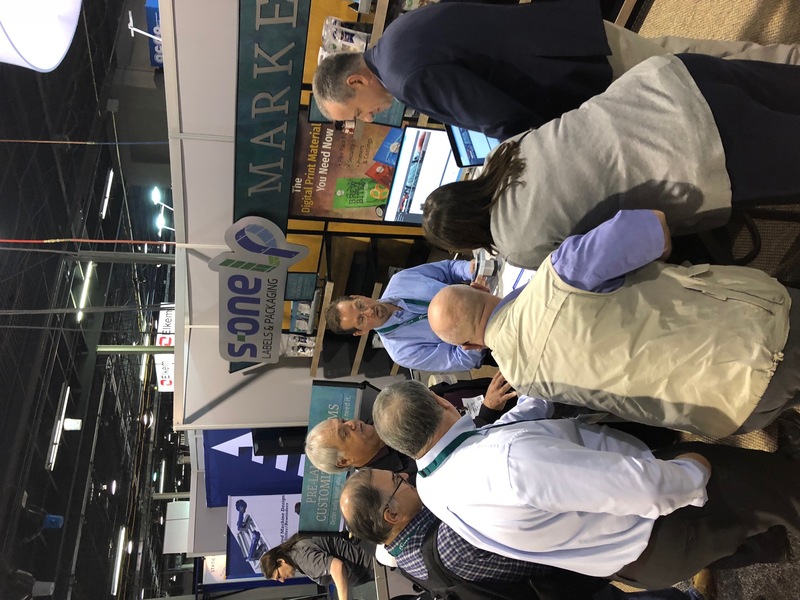 We also demonstrated VerifyMe’s newest VeriPAS authenticator device along with its track-and-trace software that allow brands to use both overt and covert codes, serial numbers or graphics to protect and authenticate their products anywhere in the world. 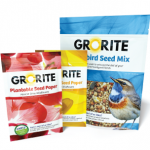 This proved to be a hot topic throughout the conference. 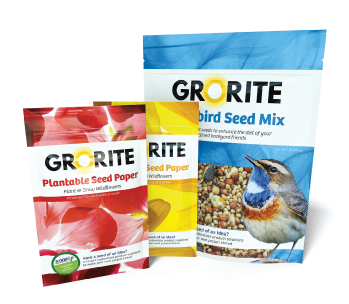 With major CPGs committing to using all sustainable packaging by 2025, the supply chain in the digital printing space jumped into action to begin designing solutions that are eco-friendly. It was another awesome week at Dscoop, and we look forward to seeing everyone in Orlando next year!